A £100 deposit/bond secures your holiday, payable within 7 days of booking. If the holiday is cancelled or any damage occurs at our holiday home then the bond (or a percentage of it) will not be returned after your holiday. The cost of your holiday can be spread throughout the course of the year in instalments to suit your budget. The balance is to be paid 8 weeks prior to holiday start date. PLEASE NOTE - Bedding and towels are not provided. The entry into our Swift Loire takes you straight into an open plan kitchen, dining area and lounge. 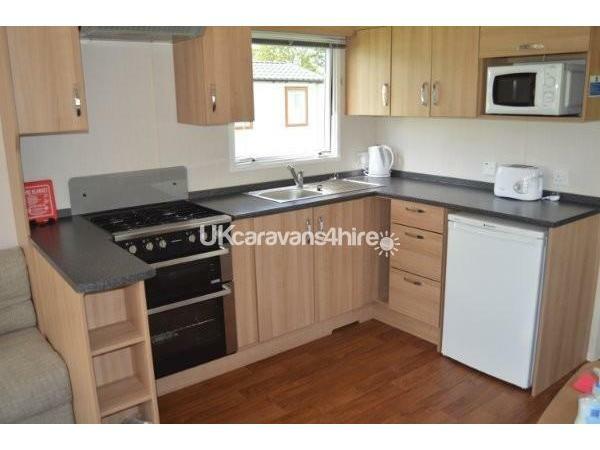 The kitchen is fitted out with a gas oven and hob, microwave, fridge with freezer compartment, kettle, toaster, iron and ironing board. Crockery, cutlery and utensils are provided. Towels and tea towels are not included. The lounge has an L shaped sofa with south facing windows, a 32 inch TV with integral DVD player, a gas fire and coffee table. The adjoining dining area has a fixed style seating, a freestanding dining table and two stools. There are three bedrooms, one double and two twins. 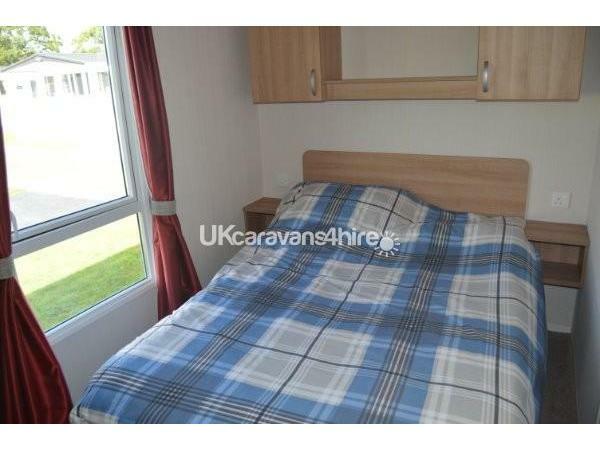 All the bedrooms have blower style heating, wardrobes, bedside shelf units and vanity space. The shower room has it's own sink and there is a separate toilet with sink area. There is double glazing as well as a gas fire and heating for your comfort. Gas and electricity are included in the price. Parking is available next to the caravan. Unlimited access park passes are not included and will need to be purchased direct from Flamingoland. Additional Info: Theme Park and Zoo, Evening Entertainment. 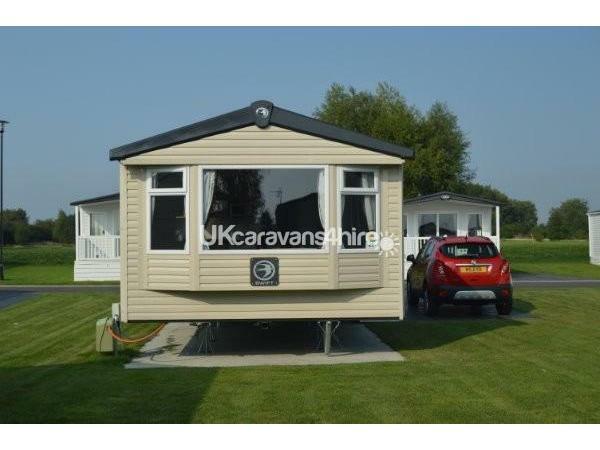 Lovely three bedroom caravan with all the amenities you require. My partner, three young children and me had a lovely time at Maple Grove. I had a lovely hot shower in the good sized shower cubicle in the caravan and enjoyed having a separate toilet. Yvonne was very informative prior to the holiday and gave a prompt reply to any questions I had before and during our holiday. I would definitely stay here again and will be looking at dates for 2019. Thank you Yvonne. We really enjoyed our stay in the caravan. My mum,dad,sister, brother in law and niece really enjoyed it. My mum and dad want to come back again my sister and bother in law want to come back again and so do I. It was spotless, tea and coffee was available for when we arrived. Lots to do onsite for a 3yr old and for the rest of us too. 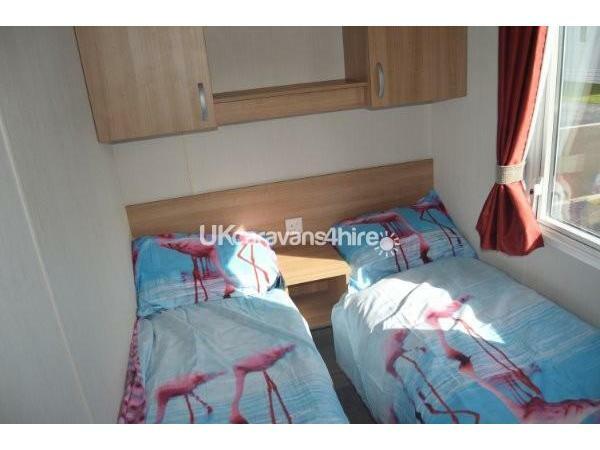 Plenty of room inside the caravan for us all. Peace and quiet no noise from club as we where far enough away not to hear anything. 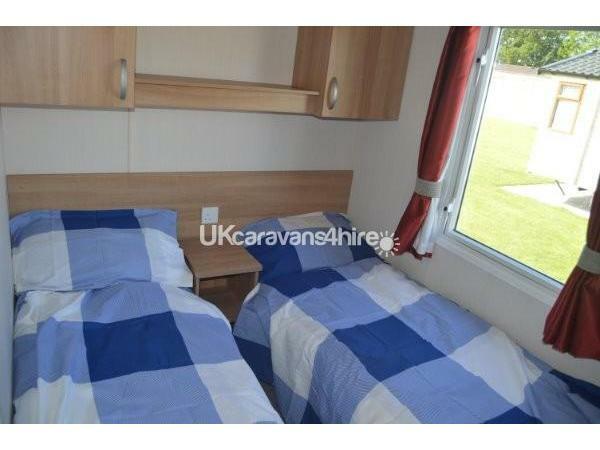 A very clean and comfortable caravan. The beds were partcularly comfortable and we all had really good night's sleep. The caravan was well resourced and Yvonne had even left us tea, coffee, milk and cordial for use on arrival my only negative was the lack of a bin in the caravan. Communication with the owner was very good and informative. We did have some problems with noise going on until after midnight on a couple of evenings which security sorted out after complaining. Myself, my husband and 2 children aged 5 years and 8.5 months. The weather was really bad when we arrived but Yvonne was there (just checking everything) and had put on the hearing for us and boiled the kettle. 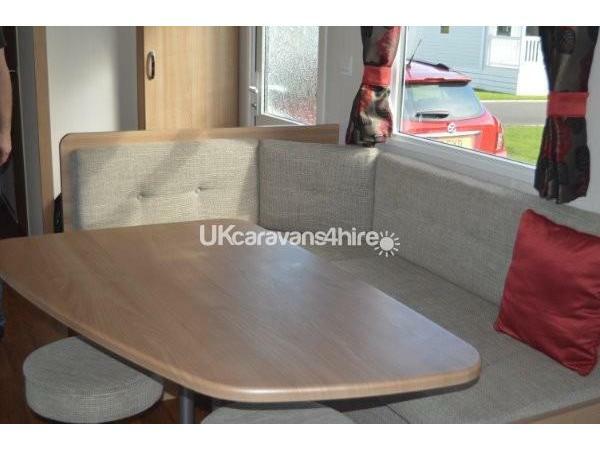 The caravan is lovely, it has everything you need and more. The whole resort is brilliant we all had a fabulous time and would definitely book again and would highly recommend. Everything was so easy from the initial enquiry right through to receiving our deposit back. Thanks Yvonne, hope to be in touch soon for our next break. Donna thank you for your lovely comments - the weather was atrocious wasn't it!! See you again soon. 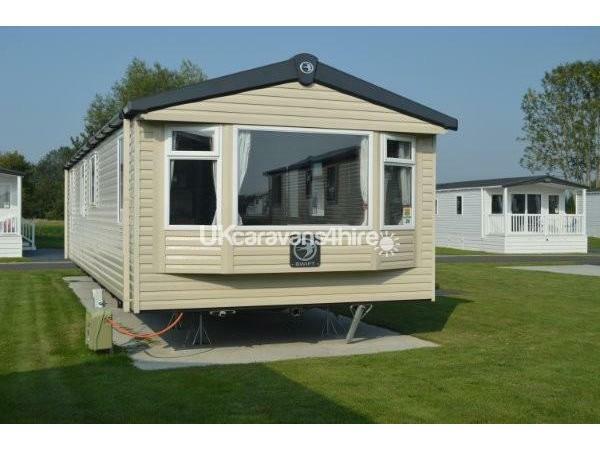 We booked this caravan for myself, my partner, 2 young girls, gran and papa. 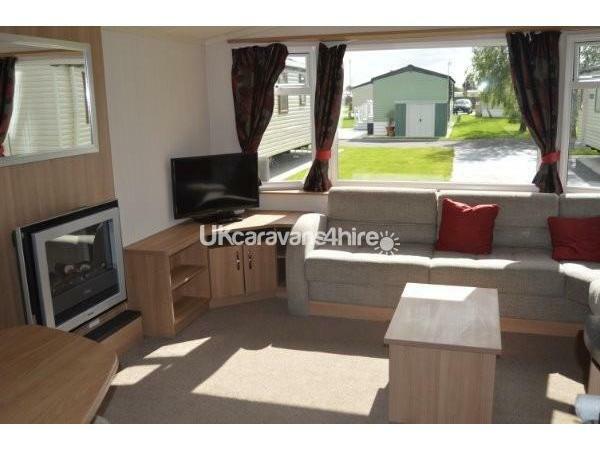 The caravan was fantastic, owner was great when booking with loads of information, price was reasonable and caravan was extremely clean and well stocked with soap, kitchen and toilet roll. We had a fab week and weather was brill. We definitely recommend this lady 5*. Will def book with her again soon. Thank you so much for your positive comments- hope to see you again. Thank you for your lovely comments - maybe we can organise better weather for your next visit! Thank you very much for your comments- I look forward to you staying with us in the future.